Hydrogen fuel cell bus. This bus is powered by a fuel cell where hydrogen and oxygen react to form water and electrical power. This is a cleaner source of power than the burning of fossil fuels to form carbon dioxide and other pollutant gases. 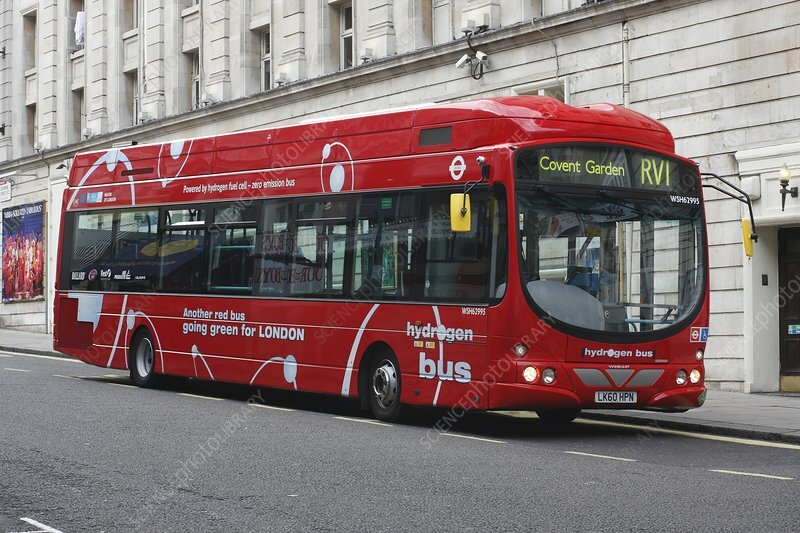 Following a trial that lasted from 2004 to 2007, this route (RV1) has now been converted permanently to include eight hydrogen buses. Photographed in London, UK.